The fact is that “The <<human>> heart is deceitful above all things, and desperately sick; who can understand it?” (Jeremiah 17:9.) If we select some “inner voice” as our authority, we will produce a life of utter selfishness and deceit. The best we can hope for is that somehow, if we’re lucky, we won’t hurt others in our pursuit of helping ourselves. So, let’s go back to Barnes and Noble. We turn the corner into the Self-Help aisle, and the Bible is sitting on the shelf. We open it, and we realize that this isn’t just “Truth” as an abstraction. The words in this book are direct from the manufacturer, the Living Person who made you, and created the entire cosmos; the One who understands your real needs and failings. These words are not mere opinion, but God himself is speaking the words you need to hear because they are the words God wants you to hear. His words are deliberate, specific, personal and powerful. Paul makes it clear that this powerful word is “at work” in you. The help that comes from God is not from within you, but it is help from God himself. Instead of promoting change from somewhere within the heart of a sinner, God’s words transform us with a purpose. With his word, God himself uses his might and wisdom to transform us into the likeness of Jesus Christ. Posted on December 6, 2018 by Seth Dunn and filed under Devotions and tagged epistle Exclusive Salvation in Christ hope Christian living PCA Proclamation Presbyterian Church Reformed Logos Bible Software Scripture application Treasuring God's Truth. 2 Timothy 3:15-17: And how from childhood you have been acquainted with the sacred writings, which are able to make you wise for salvation through faith in Christ Jesus. All Scripture is breathed out by God and profitable for teaching, for reproof, for correction, and for training in righteousness, that the man of God may be complete, equipped for every good work. Antifa, Border walls, Caravans of illegals; this is the Alphabet Soup of difficulties that will confront you no matter which news source you choose these days. Division, Election fraud, Fake news; we are bombarded with an endless assault of concerns and threats from a cacophony of voices and experts and pundits and celebrities clamoring for our attention and trust. The voices are urgent – the call to action is unmistakable, and we need to choose – NOW! Our natural tendency is to take sides, somewhere, and align ourselves with what we consider, “The Voice of Sense,” which tends to be, as often as not, politically driven and as variable as the tides. Certainly parties and interest groups tend to have a general alignment, and many solutions suggested have merit and deserve consideration. Nevertheless. it is dangerous to put our confidence in political parties and causes which focus on symptoms and behaviors, but not the cause. In our passage, Paul is instructing Timothy how to navigate through life, because, “in the last days there will come times of difficulty.” (3:1) His advice to Timothy has two sides; Paul reveals to us the true cause of our world’s difficulties, and a guaranteed solution to navigate and overcome those difficult times when they come. 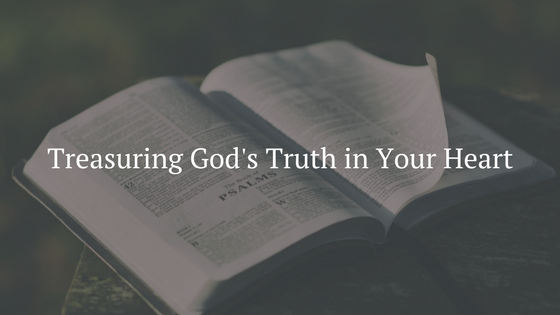 To examine the ways that we as Christians should live faithfully in the midst of human culture is an issue that would break the bounds of this simple blog, or even a dozen blogs. Summed up in a phrase, our call includes upholding justice and truth in a world of sin, deceit, and selfishness. Our passage indicates that doing so comes with a challenge; “all who desire to live a godly life in Christ Jesus will be persecuted.” We can expect this because our world’s problems can’t be solved through headlines or legislation. Personal and cultural salvation are found in a life transformed by Truth and light, but we live in a world committed to the darkness. The Bible explains why the times are difficult; and the painful focus is the wickedness of the human heart. Verses 2 through 9 present a massive litany of human sins; heart attitudes, really, that are at the core of every social ill; people who are lovers of self and money, proud, disobedient, treacherous, avoiding the truth, lovers of pleasure to mention a small part. The list is devastating, but it rivets us on this glorious truth; we can’t solve cultural ills through new programs or laws through parties or social reform. (Although getting those right is helpful and as people of faith, we are called to pursue what is called primary justice – establishing right (just) relationships between people.) The solution comes through the transformation of the hearts of men and women through the power of God in the gospel of Jesus Christ! No election will ever make anything great outside of the truth and justice, and renewed life, found in being united to Jesus by faith. This is the message that Paul uses to encourage Timothy. He says that Timothy should, “continue in what he learned and firmly believed… the sacred writings, which are able to make you wise for salvation through faith in Jesus Christ.” Those “sacred writings,” which Paul goes on to describe, are “breathed out by God” himself. And at this triumphant blast, we must pause. God breathed! There are numerous pieces of nearly infinite depth to consider here; let’s ponder three. The first is that the Word of God, the Bible, is inspired by God. God himself, out of love for us and earnestly desiring that we understand his plan and know who he is, expressed himself through his prophets and apostles with the exact words and message he intended. Second, the word of God is profitable in penetrating and transforming ways so that any person who listens and obeys will be equipped for every good work. All that you need, all that the world needs, every answer to every sorrow and ill can be found in God’s Word. In the shifting and unsteady waves of public discourse, we are like a tempest tossed skiff, but the Word of God is the anchor that holds in the solid soil beneath the water, providing us with a solid confidence that we will never be able to find in political causes or in any other source of authority. The third is a powerful mystery; God’s Word has power because, alive and active, the Spirit of Christ dwells within the Word and indwells us when we feast on His word. The Spirit is the power of God who fills us and makes us alive and capable as we trust and act. This is the power we need to overthrow the headlines and bring hope in troubled times. Posted on December 6, 2018 by Seth Dunn and filed under Devotions and tagged Charles Fox Proclamation Presbyterian Church epistle Reformed Treasuring God's Truth Exclusive Salvation in Christ. While works do not save, their enduring absence in people’s lives is condemning. James 1:22 specifically warns that “[t]heology must lead to practice; faith must lead to deeds (2:24).”  You cannot claim to follow Jesus or truly know Him if your life is not submitted to His Scripture. All of us struggle and fall. The Trinity helps us repent and grow in His likeness. Do not hesitate to come to Christ, as a struggling but growing saint, or for the first time in conversion. The Holy Bible: English Standard Version. (Wheaton, IL: Standard Bible Society, 2016), Logos Bible Software. All Scripture references will be ESV unless noted otherwise. Daniel M. Doriani. Reformed Expository Commentary: James Series Eds: Richard D. Philips and Philip Graham Ryken. Testament Eds: Iain M. Duguid and Daniel M. Doriani. (Philipsburg, NJ: Presbyterian and Reformed Publishing Co., 2007), 51. Romans Galatians 2:11-21, Ephesians 2:8-10. Luke 6:46-49; Romans 2:13, 3:21-28; and James 2:14-20. For some individuals that may qualify as exceptions please see Luke 23:39-43 and The Westminster Standards: The Westminster Confession of Faith, the Larger Catechism, and the Shorter Catechism. (Philadelphia, PA: Great Commission Publications, 2011), The Confession, Chapter X, section 1. The Westminster Standards: The Westminster Confession of Faith, the Larger Catechism, and the Shorter Catechism, chapter XIII. Posted on October 4, 2018 by Seth Dunn and filed under Devotions and tagged Assurance application epistle Exclusive Salvation in Christ Reformed Proclamation Presbyterian Church pca Logos Bible Software exclusive salvation in Christ Christian living sanctification. Romans 13:14: But put on the Lord Jesus Christ, and make no provision for the flesh, to gratify its desires. John Murray. The Epistle to the Romans: The English Text With Introduction, Exposition And Notes Vol. II. (Grand Rapids, MI: Wm. B. Eerdmans Co. 1965), 170. James Montgomery Boice. Romans: The New Humanity, Romans 12-16, Vol. 4. (Grand Rapids, MI: Baker Books a division of Baker Book House Co, 1995), 1719. Boice, Romans, Vol. 4, 1719. Murray, Romans, Vol. II, 170. Posted on October 4, 2018 by Seth Dunn and filed under Devotions and tagged epistle treasuring God's truth Logos Bible Software application sanctification reformed PCA Proclamation Presbyterian Church Mount Joy. The Holy Bible: English Standard Version. (Wheaton, IL: Standard Bible Society, 2016). Logos Bible Software. All Scripture References will be ESV unless noted otherwise. John Calvin. Commentaries on the Epistles of Paul to the Galatians and Ephesians. Trans. William Pringle. (Grand Rapids, MI: Baker Book House Co, 1981), 300. John 3:16-17; Romans 6:23; Ephesians 1:3-6, 2:1-10; 1 John 4:7-21. 2 Corinthians 5:21; 1 John 3:5, 3:8. Ephesians 5:4; Colossians 3:8; 3:16; 4:6, 1 Thessalonians 5:11. Posted on September 20, 2018 by Seth Dunn and filed under Devotions and tagged epistle Proclamation Presbyterian Church Reformed Logos Bible Software sanctification Exclusive Salvation in Christ. F.F. Bruce. Commentary on the Epistle to the Colossians, The English Text with Introduction, Exposition, and Notes. (Grand Rapids, MI: Wm. B. Eerdmans Publishing Co., 1982), 186-87. See also Romans 8:11. Acts 13:44-14:23, 16:16-24, 27:39-44; 1 Corinthians 1:10-31; 2 Corinthians 1:3; Col. 4:18. Philippians 4:11-13. See also Bruce, Colossians, 188. Psalm 36:9; John 12:46, Acts 20:32, 26:18; 2 Corinthians 3:6, 3:8, Ephesians 1:11, 2:18, 3:16, 4:2, 5:20. Matthew 5:12, 25:34; John 17:24; Acts 5:41, 20:32; 2 Corinthians 8:2, 13:4; Hebrews 10:34. 1 Corinthians 16:13; Colossians 3:1-23; 2 Peter 3:18. The Westminster Standards: The Westminster Confession of Faith, the Larger Catechism, and the Shorter Catechism. (Philadelphia, PA: Great Commission Publications, 2011), Shorter Catechism Q&A 86-87. Posted on July 19, 2018 by Seth Dunn and filed under Devotions and tagged application epistle reformed pca Proclamation Presbyterian Church PCA true joy Logos Bible Software exclusive salvation in Christ.